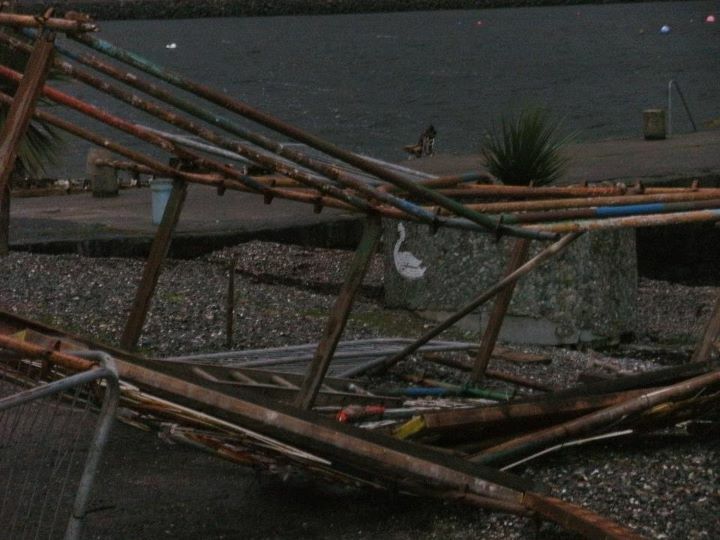 BUTE was battered by storm force winds on Thursday. 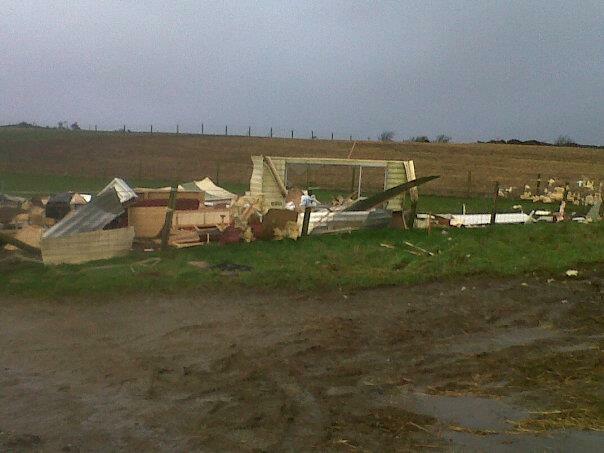 Schools closed across Argyll & Bute as winds reached over 80mph. Rothesay Academy closed on Thursday morning while the island’s primary schools attempted to remain open until lunchtime. Many shops and businesses also closed early as police warned the public not to travel. The island’s Calmac ferry services were severely affected with cancellation of the Rothesay-Wemyss Bay service early on Thursday morning while the Rhubodach-Colintraive ferry struggled through into the afternoon to carry passengers to the mainland. By Thursday night, all Calmac services were cancelled. Power cuts were a significant problem for the region, with loss of electricity at various periods throughout the day. Rothesay Victoria Hospital had a generator on stand-by to cope with the disruption. 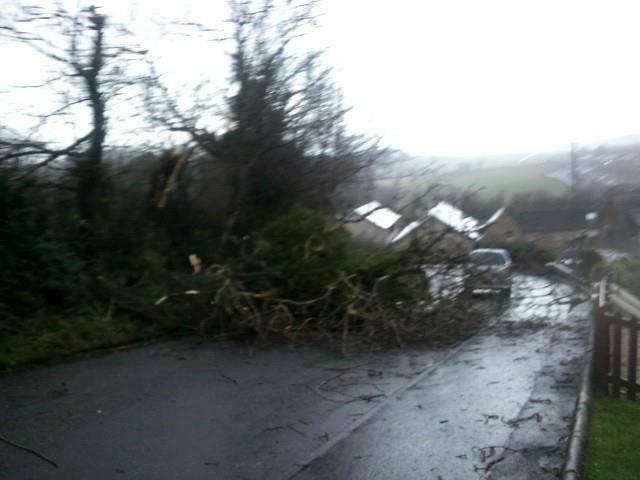 As many as 70,000 homes throughout Scotland were still without power on Friday morning. Island councillor, Robert Macintyre, said: “As I live five miles from Rothesay and have 180 cattle to attend seven days a week I did not make it into Rothesay apart from getting the daily papers, at that time Rothesay had no electricity so all the shops apart from Toffelettis and the bakers in Montague Street were shut. “We are in the electronic age, barcodes etc, but when there is no power they are all snookered. But folk on Bute are resilient and seem to cope quite well,” he added. Train and bus services used by Bute residents were also disrupted. McGill’s buses cancelled many of its Inverclyde services and the Wemyss Bay-Glasgow Central train service was suspended into Friday morning. Island councillor Isobel Strong said: “The binmen had a problem with bins being blown over after they were emptied. I really don’t know how it was down town later on as I was too scared to go out. There was debris being blown about and I cancelled a meeting which everyone agreed was a wise decision. Several power cuts meant that fridges, freezers and heating went off. 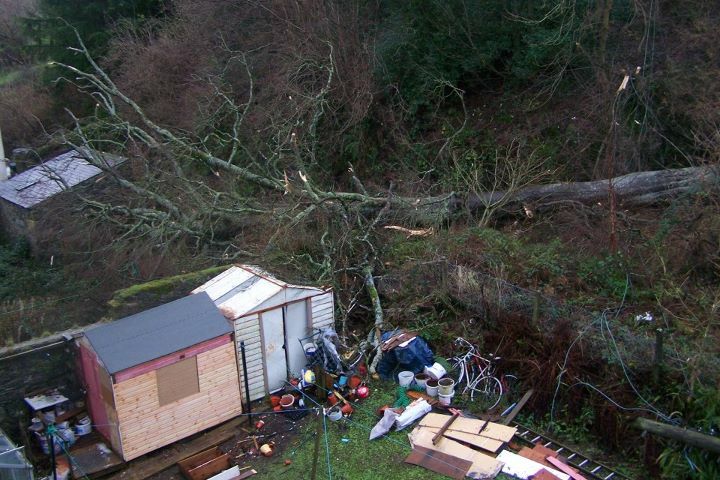 Severe gales swept across western, southern and central Scotland in the hurricane-force storm, with a wind gust of 165mph measured in the Cairngorms – just 8mph lower than the record, set in 1986.